A special wig with custom hairline is specially ordered for you from the Chinese factory and then finished in Sweden by Makeup-FX to perfectly fit your head and requirements. To guarantee the fit, it is very important that you follow the instructions very carefully! When should I make a special order? The most common reason is that you need the wig to fit you perfectly. Other reasons could be that you need something that is not on the web site. Maybe you want a wig that looks different? Extra thin, extra thick, different color, other directions than straight backwards, European hair, Buffalo hair or something else that is not in the on-line catalogue. The more information you can send us the better the result will be. So send us a filled measurement chart, a copy of the hairline, inspirational pictures, hair samples, and anything else that you think might be useful to create your vision. Anything is possible! The impossible only takes a bit longer and costs a bit more! How much does a special order wig cost? It is more expensive than the stock wig with custom hairline but it is worth it. The exact price is given when we have seen what you want. 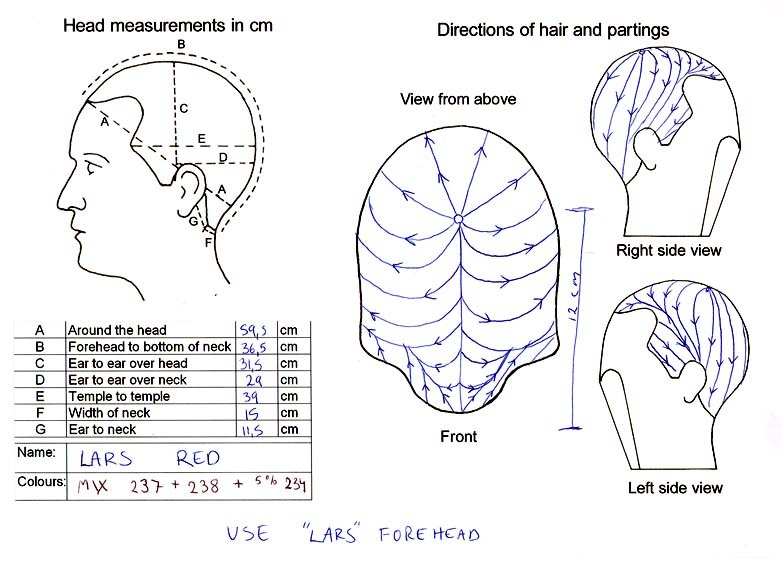 Measure the head and copy the hairline in plastic. You will send this to me after the order has been made. Empty measurement chart to print out. Fill in the rest of the measurement chart. Look at the examples below and you will probably understand how to use the chart. If you need more information please don't hesitate to contact us! 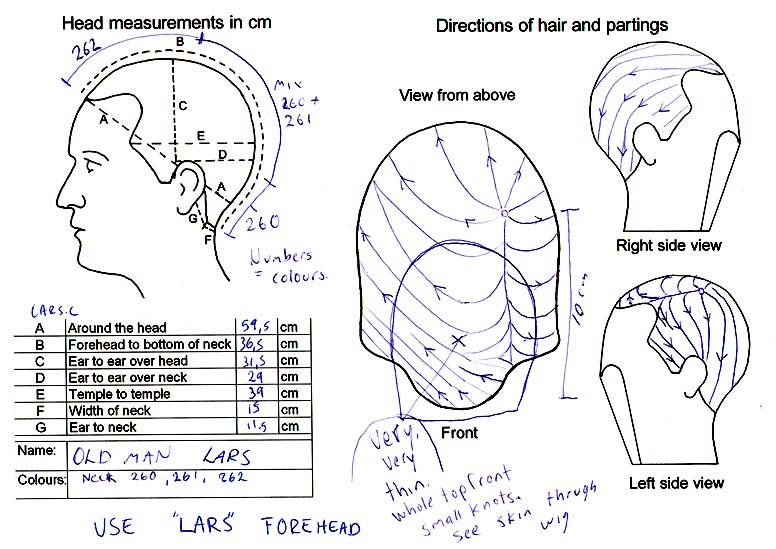 This is an example of a filled measurement chart sent together with the details of how the wig should be. 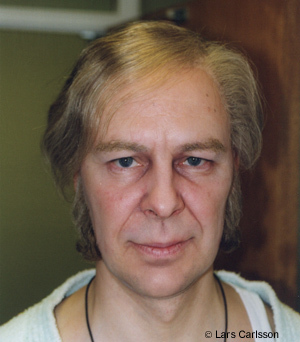 See more examples of special ordered wigs and how to fill in the charts here. I have done the chart. What do I do now? Click the link below to open the order form in a new window. Fill in the order form with what you want and send it. Makeup-FX will now contact you as soon as possible for for detailed instructions on where you should send your measurement charts and pictures. Thank you for shopping at Makeup-FX.com!